Crafted from 100% polyester, this Satin Stripe Cream Polyester Pillow Case is highly durable and conveniently machine washable at 40°C. 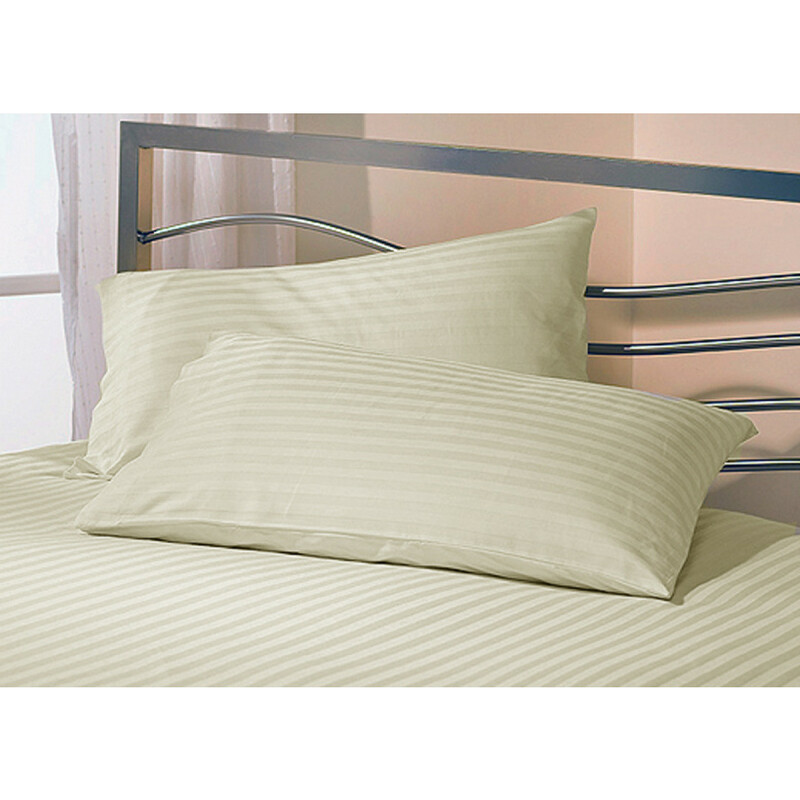 Its soothing cream colour with beautiful satin strips will add refinement to your bedroom. Lavishly soft and smooth, this pillowcase is perfect for those who yearn for luxurious softness and comfort. Our cream pillowcase comes in 19" x 29" (48cm x 74cm) sizes and can also be tumble dry wash with similar type of colours. Our pillowcase is not only aesthetically tempting but is also very practical and economical.